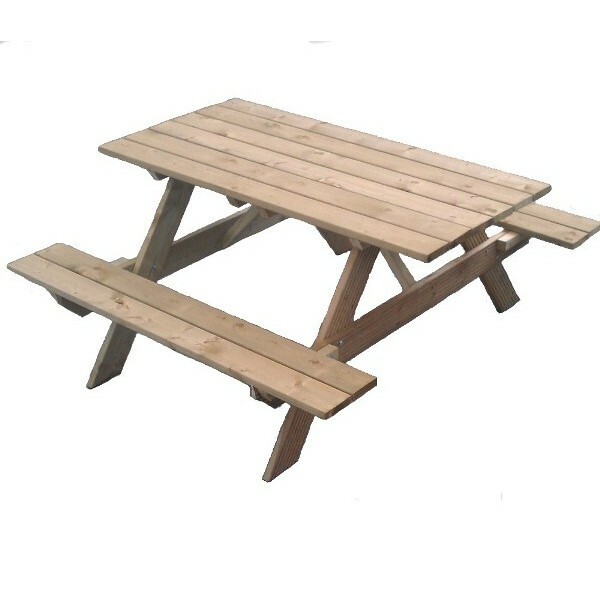 This A-Frame Picnic Table is designed to seat up to 6 people across its two parallel benches and is manufactured from fully pressure treated timber making it resistant to rot and very low maintenance. This traditional style picnic bench is covered by a manufacturers 7 year warranty making it truly exceptional value for money. The panels are part assembled and supplied with easy to follow pictorial instructions for quick and easy home assembly. Delivery Times: Within 10 - 15 working days. Delivery Notes: Delivery to mainland UK only.